The story of a woman, of a life. A story of our time. A successful businesswoman, Ms Rufer feels that she has the mission to inspire and motivate others. Ms Rufer draws on her experience to tell others that they too can have a goal and the determination to achieve it. Her creation of the DELANCE watch brand serves as a model of creativity, courage and excellence for all entrepreneurs, women and men alike. The driving force in Ms Rufer’s life is to be in harmony with herself, to do what she loves doing, for those whom she loves. She is a creative, receptive and open person who loves to use her energy and enthusiasm to share her working philosophy with others. 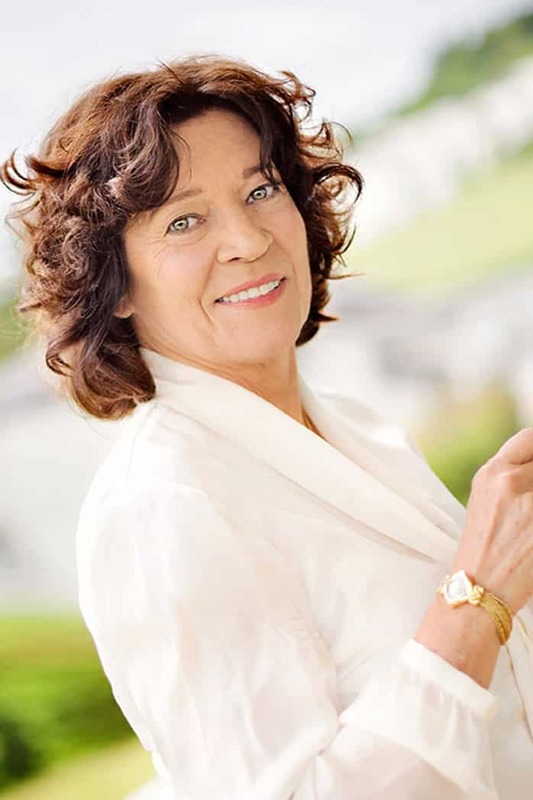 In 1986, Ms Rufer began accepting invitations to speak at conferences around the world on a variety of issues dealing with entrepreneurship and women’s issues. She often involves her audience directly in the discussions, using humor and personal anecdotes to break the barrier between speaker and listeners. Her audiences include women’s groups, students, artists and artisans, men and women involved in marketing and sales, and people who simply are looking for an outlet for their creative energies. Her sincere and natural demeanor is appreciated by people from all around the world and walks of life. 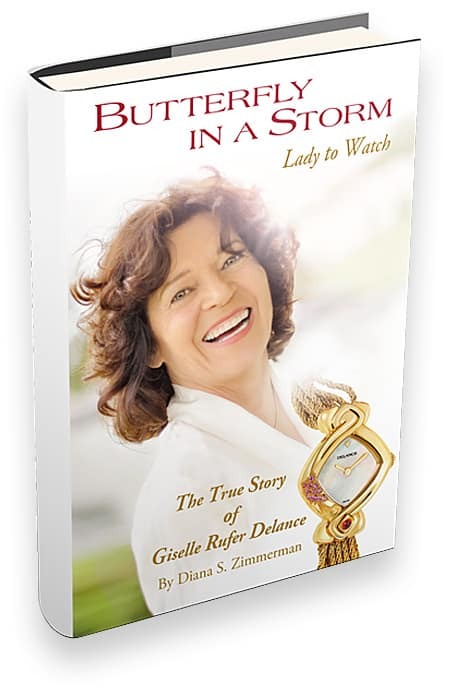 In Butterfly In A Storm unfolds the fascinating life of both a very special and an ordinary woman, Giselle Rufer Delance. Nor is it a heroic biography to distract us from our real life with our real joys, sorrows, hopes and delusions, to comfort us that in the end, our own life is good enough, that we shouldn’t grasp for the moon. It is not one more boring lesson telling us how we ought to conduct our lives. 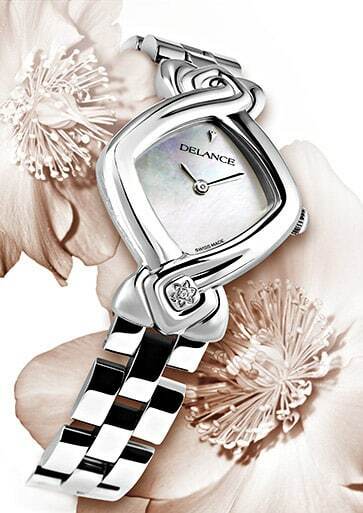 The powerful entrepreneur and founder of the ultra chic Delance Swiss Watches for women, the fighter, the mother, the friend. As we follow her story, we get enthusiastic when as a child, Giselle, so alive and determined, spreads her thousand ideas and talents like wings; we admire the teen when she dares to cross the line of the so conservative and provincial Swiss society conventions of the fifties; we suffer with the young adult when fate persists to cut her momentum off, tries to kill her vision and forces her to put her ambitions on hold; and we applaud when eventually success and fame reward the exceptional destiny of the mature woman.